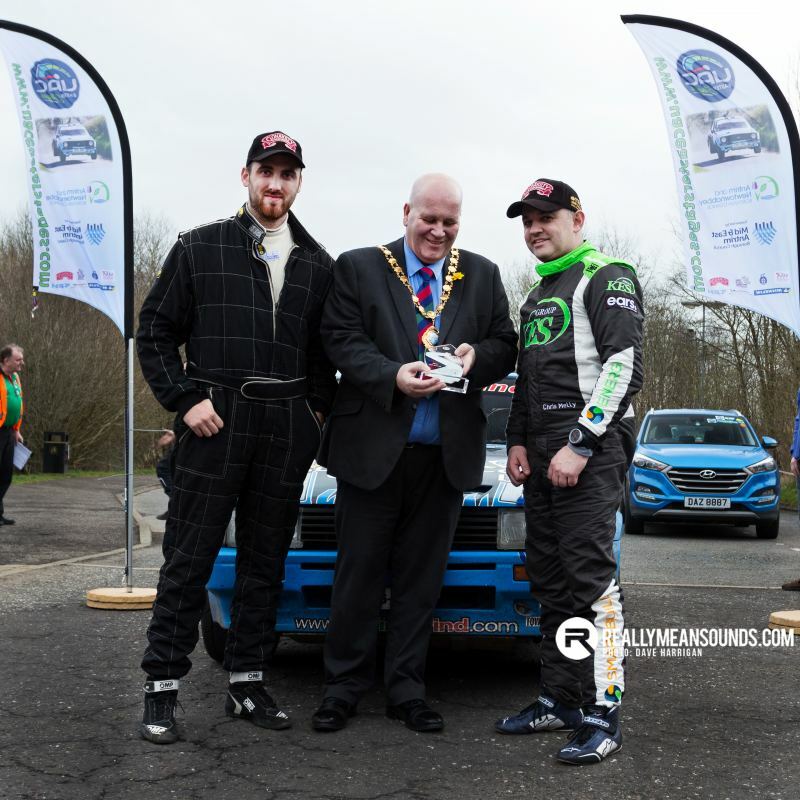 Despite the name, the Easter Stages Rally took place last weekend (one week after Easter) in the rolling countryside between Ballymena and Ballyclare in the heart of Northern Ireland. 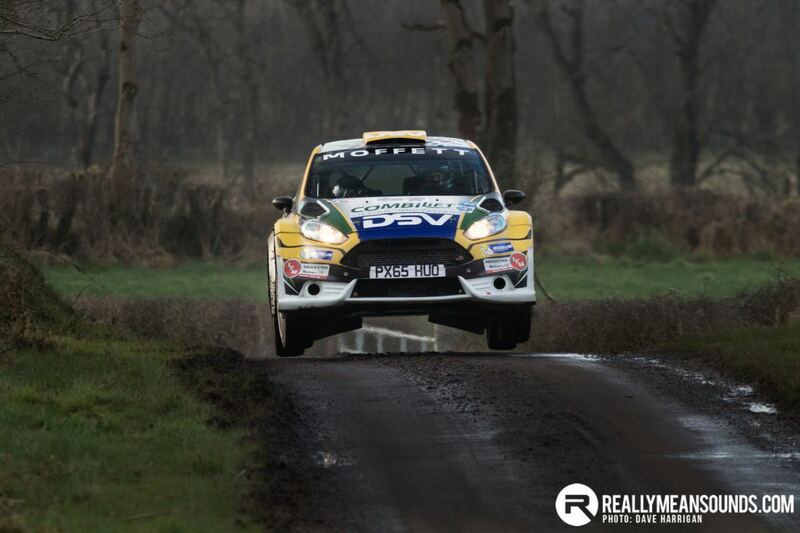 Round 2 of the Irish Tarmac Championship, the rally had a spectacular entry list with no fewer than 10 R5 cars crossing the start ramp in Ballyclare on Friday morning. 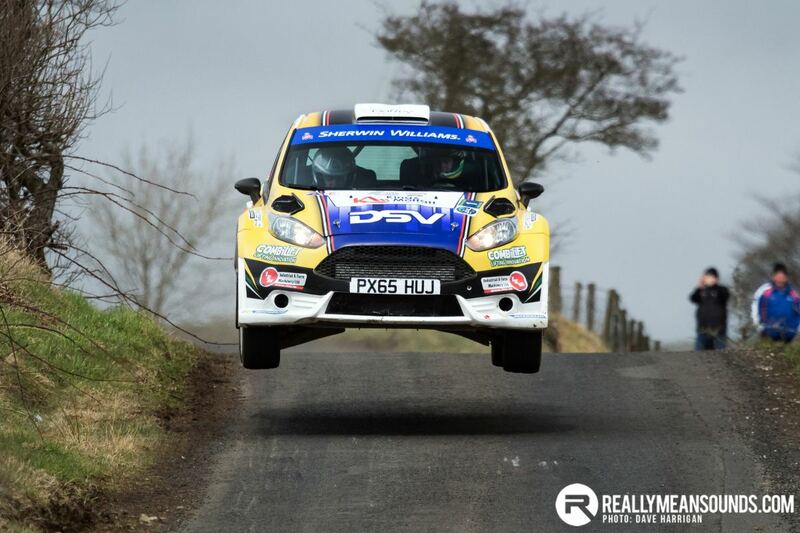 Josh Moffett & Andy Hayes in their Ford Fiesta R5 led the crews over the ramp with number 1 on their door. 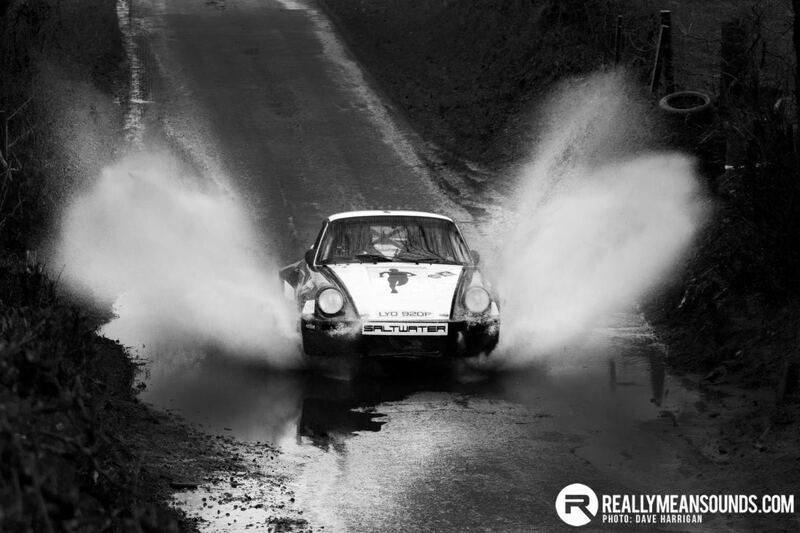 Also in the mix were a number of WRC cars and Derek McGarrity and Paddy Robinson immediately showed advantage these machines have in the wet and muddy conditions, by taking the fastest time on the opening test which was sodden with rain. 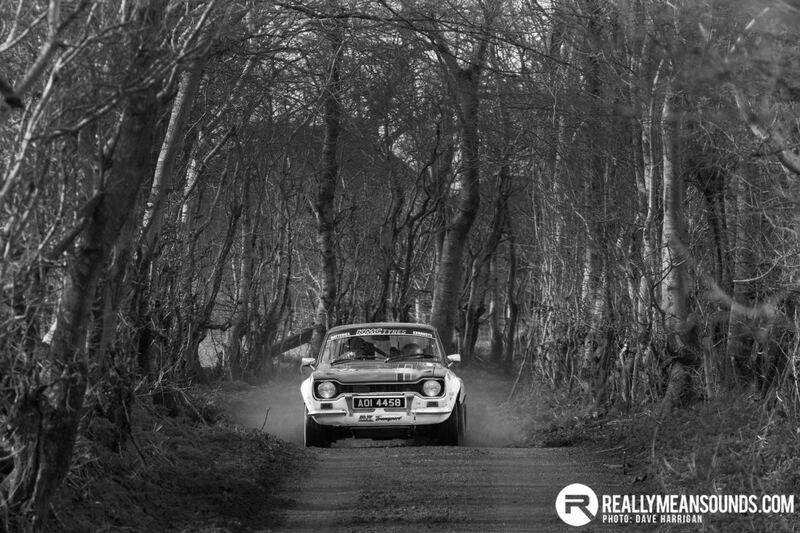 The opening stages of this rally would have favoured a boat, but over the course of the afternoon, Derek would take 2 stage victories in his S14 Impreza, never once dropping out of the top 5 stage time. 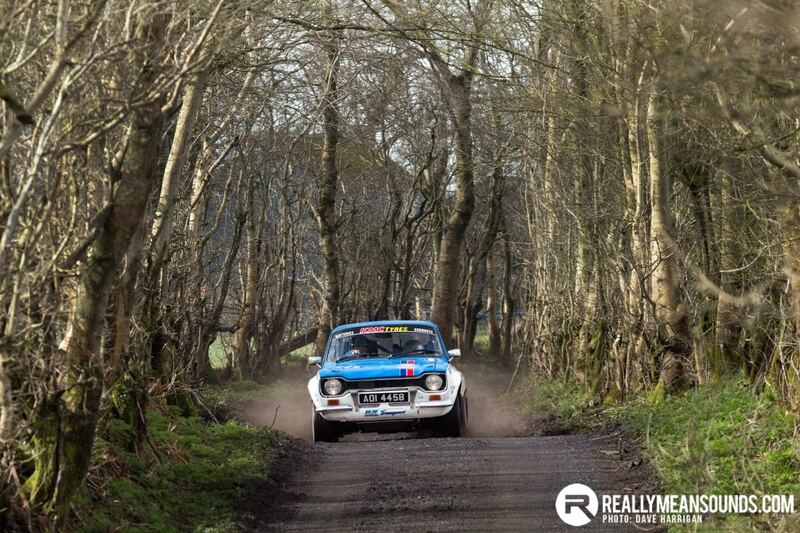 He held the overall lead at the end of the first day. 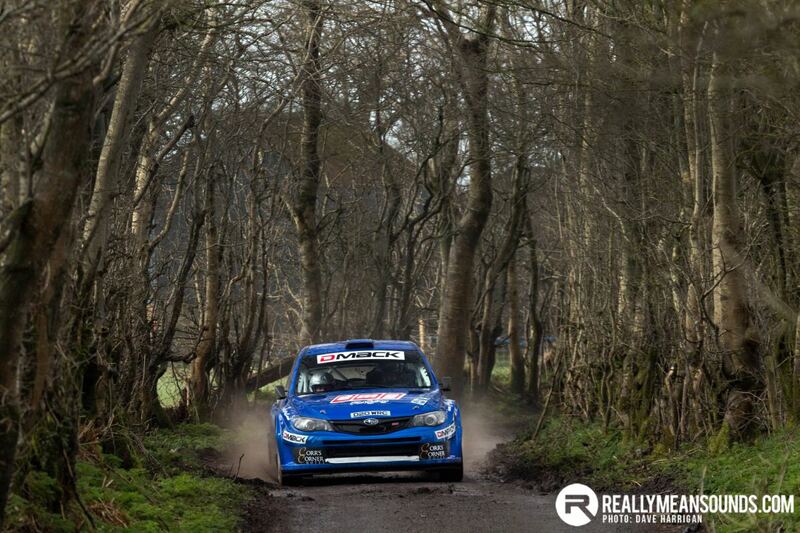 The battle between the R5 machines was a real dogfight. 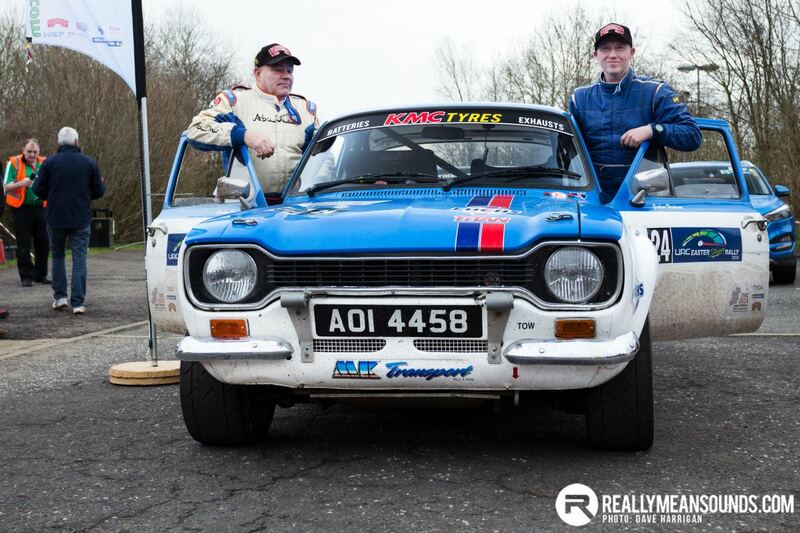 No fewer than 3 drivers led the class over the course of the day – Desi Henry, Josh Moffett and Marty McCormack. 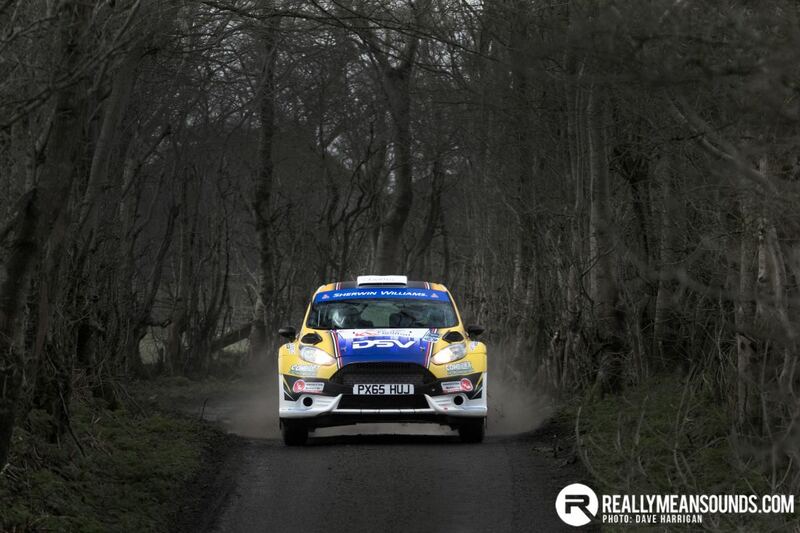 All top 5 cars traded seconds over the opening 6 stages. 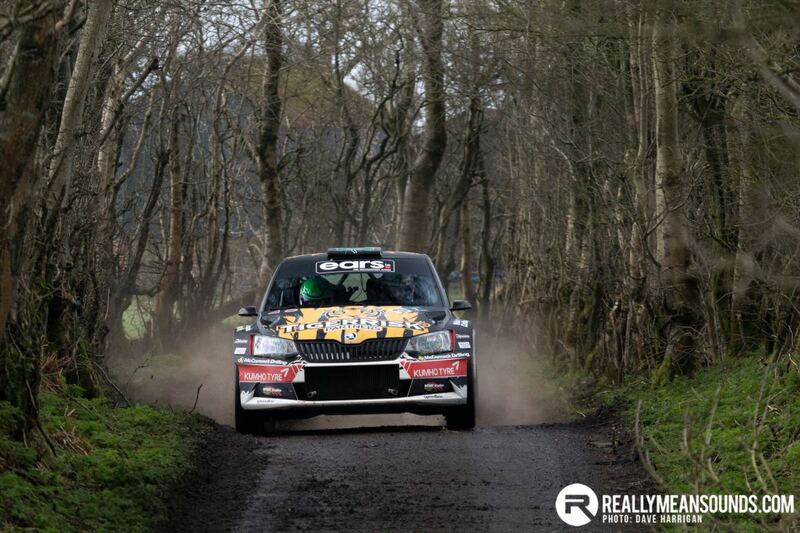 Desi Henry gave his brand new Skoda Fabia R5 its first outing and was setting some very impressive stage times. 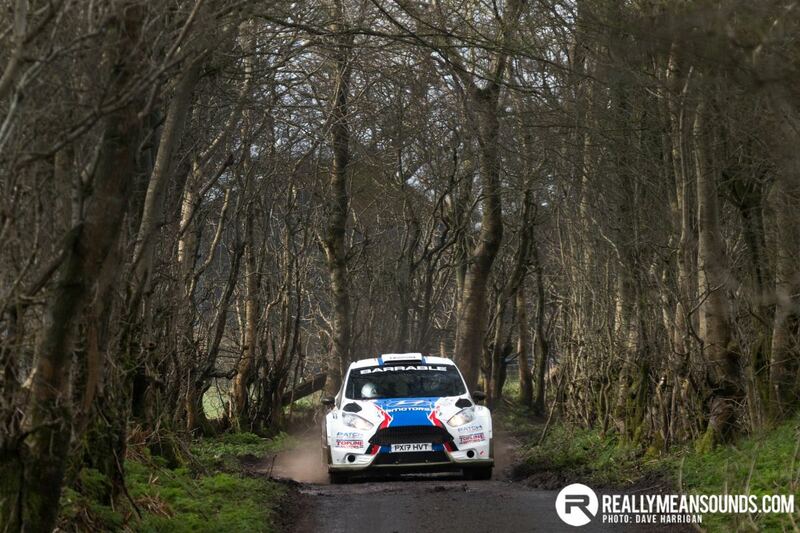 Unfortunately Desi slid off the road on the fifth stage and dropped out of the rally. 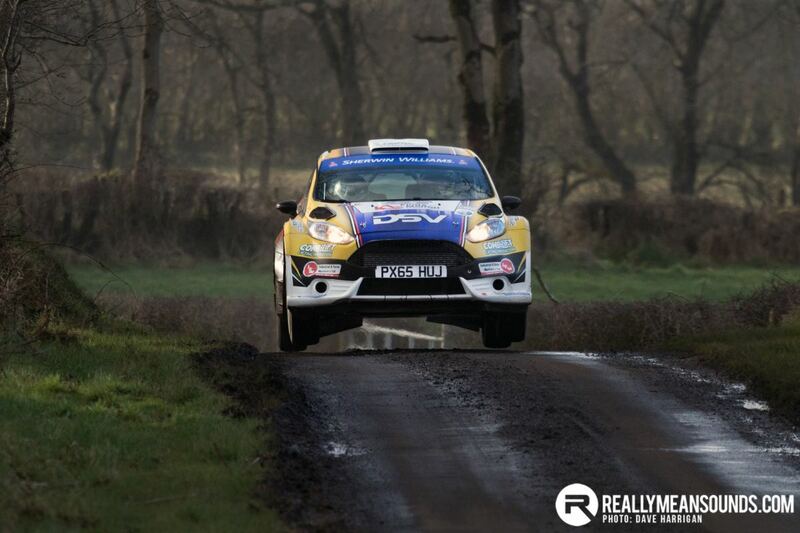 On stage 4, Daniel Cronin also dropped time, slightly cutting himself adrift from the battle between the top 3. 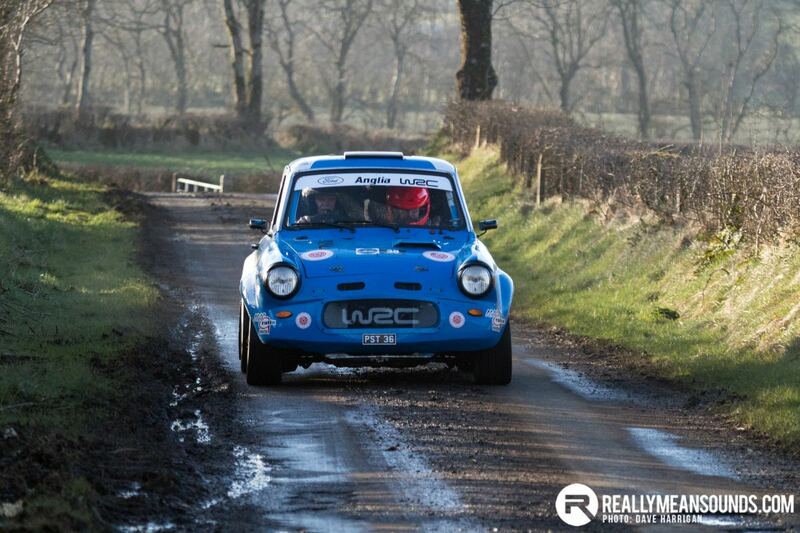 At the close of a miserably first leg, Marty McCormack led the R5 category from Josh Moffett, closely followed by Sam Moffett. 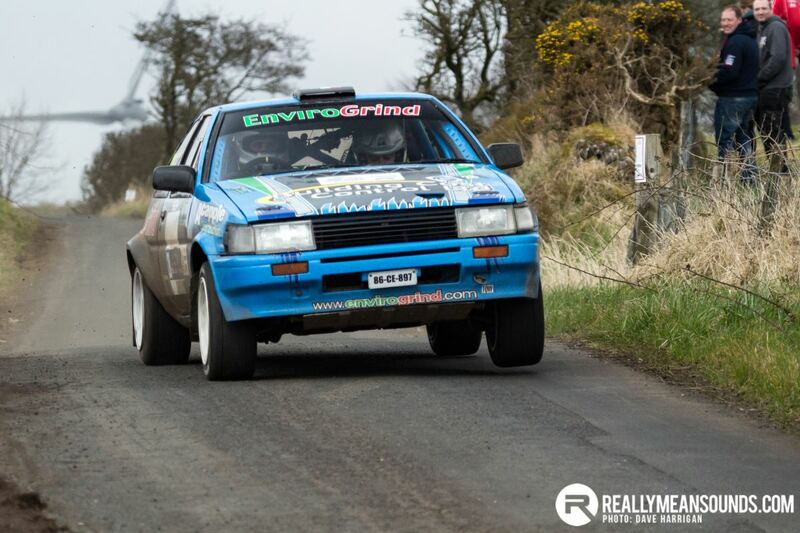 In the 2 wheel drive class, local man Keith White led the way on his local stages for basically the entire day with Donegal man Kevin Eves finishing the day in second. 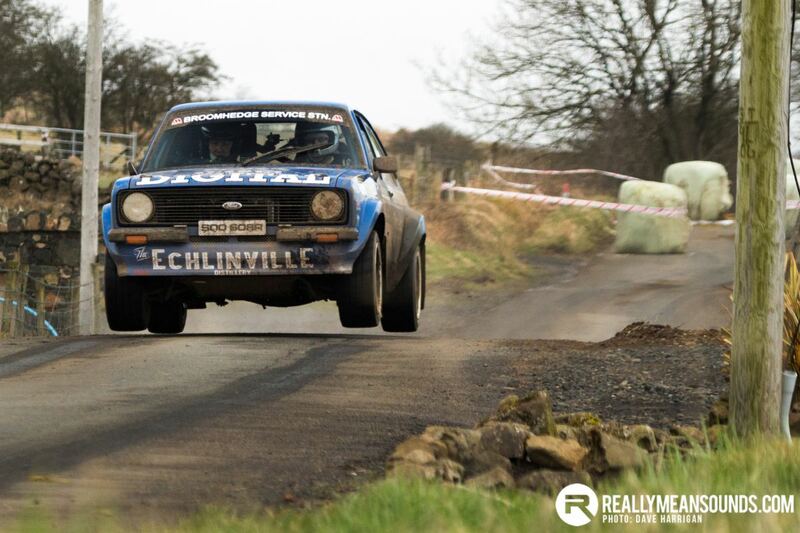 Kevin and co-driver Chris Melly were the first Irish Tarmac Championship registered competitors in the points, after starting the day slowly. 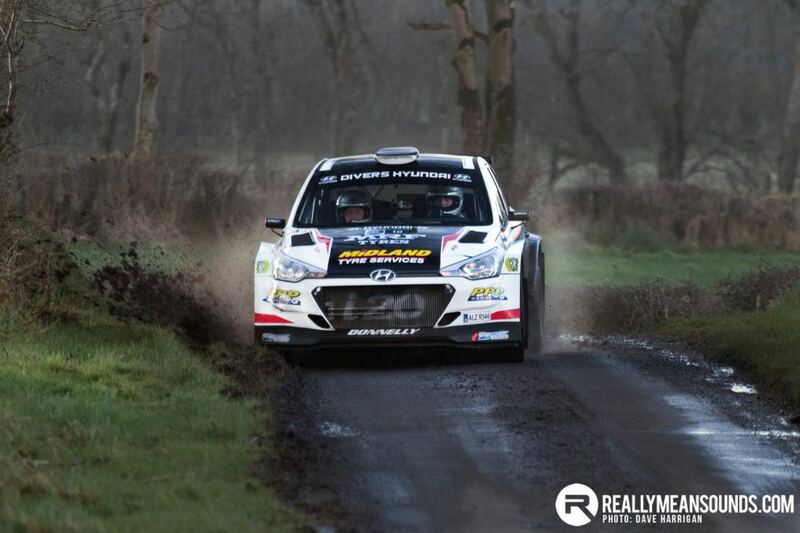 The pair showed serious pace as the conditions dried slighty to hold second place at the overnight halt. 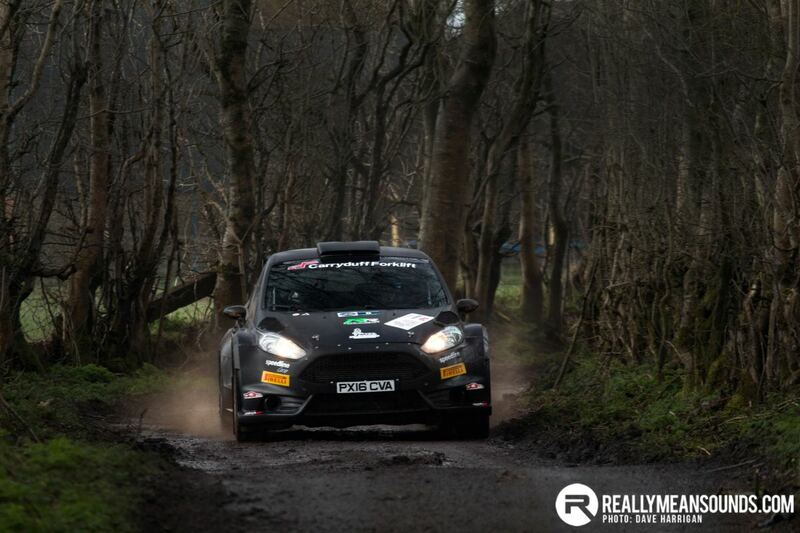 Camillus Bradley finished the day as third, pushing hard in what were atrocious conditions. 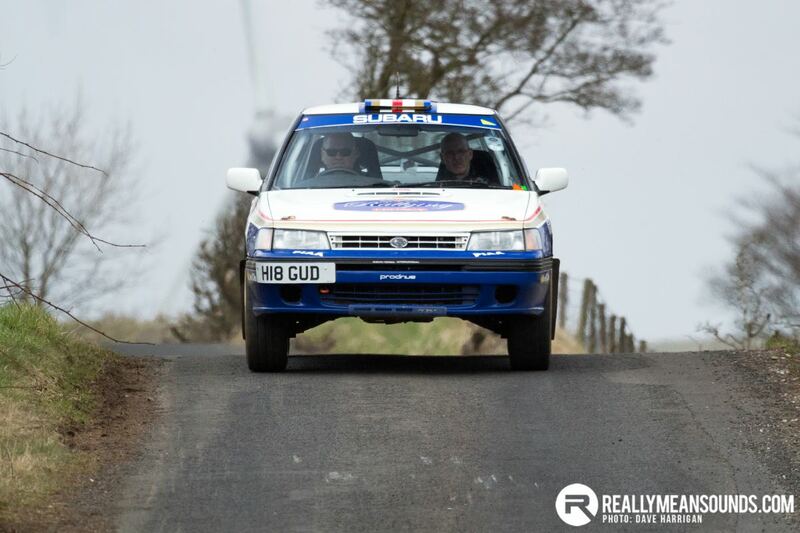 Day two began badly for Derek McGarrity and Paddy Robinson as gearbox problems leaving parc ferme forced the crew to retire the Subaru. 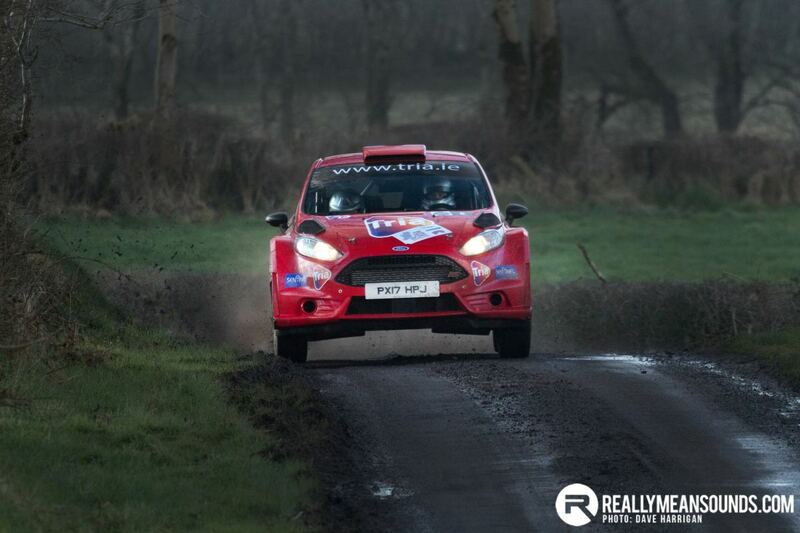 Josh Moffett had a fantastic start to the second day with a brilliant opening stage time moving him from third to first in one stage. 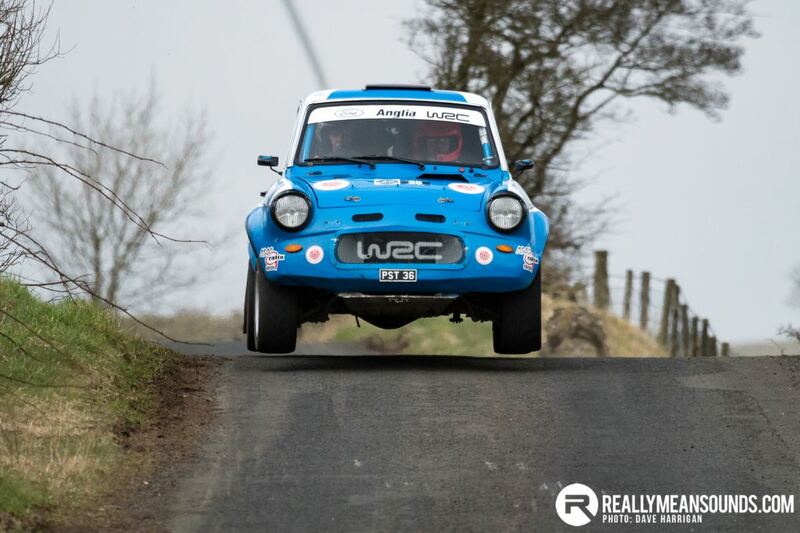 The Moffett boys must have had something in their breakfast on Saturday morning, as Sam Moffett followed his brothers lead and moved from fourth to second on the opening stage. 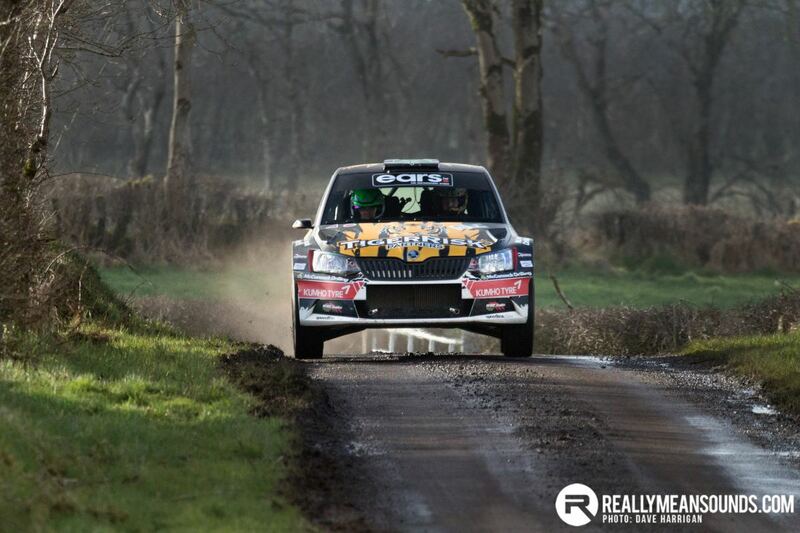 After the first stage of the day, Marty McCormack had dropped to third. 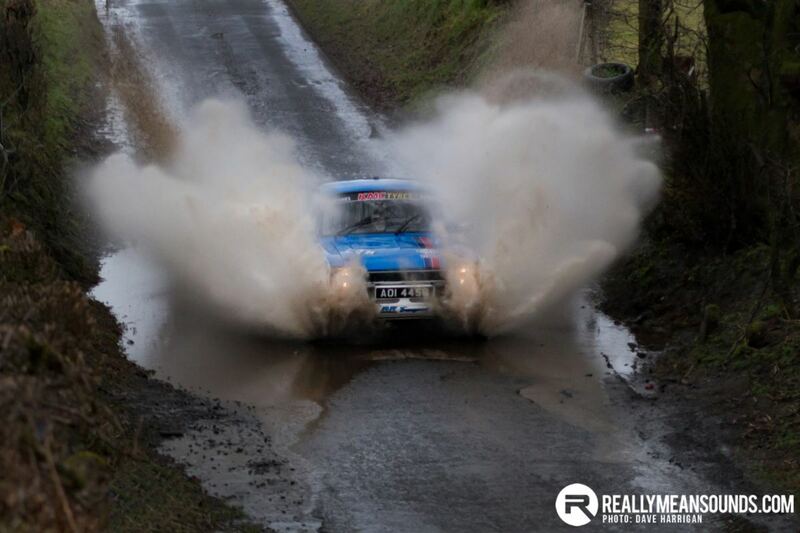 And that was how they finished the event, with Josh Moffett and Andy Hayes claiming a 4.6 second victory over his brother Sam Moffett & Karl. 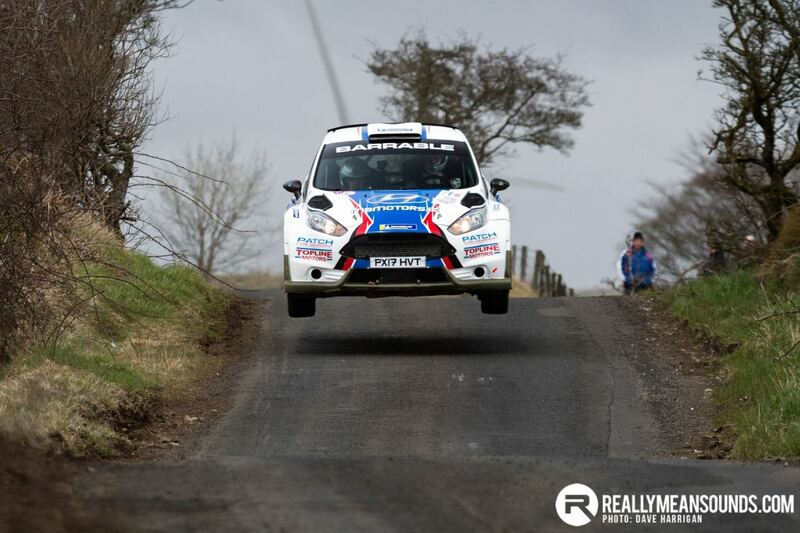 The result means that after 2 wins from 2 in the Irish Tarmac Championship Josh leads the championship by 6 points from his brother Sam. 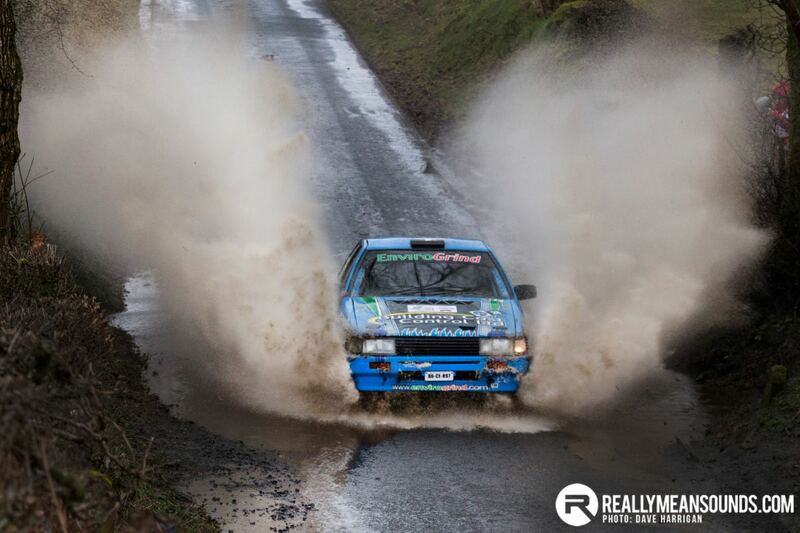 Robert Barrable and Damien Connolly finished in fourth place, 54 seconds off the lead. 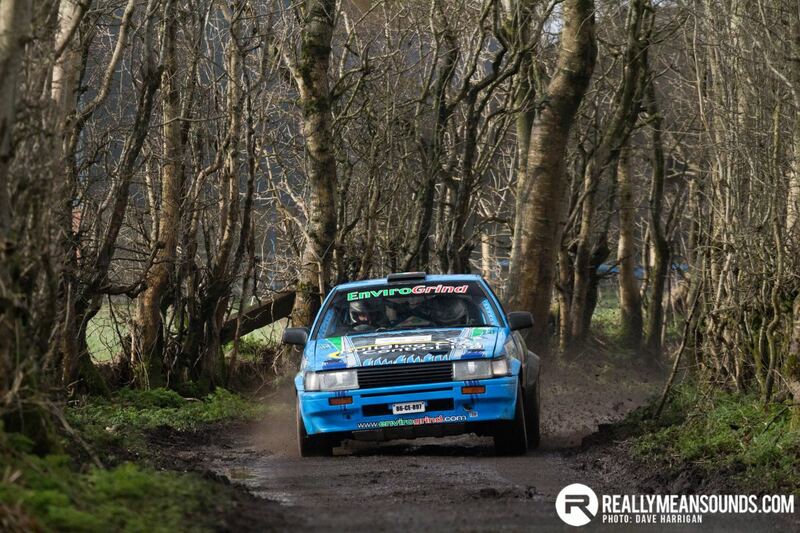 Jonny Greer and Kirsty Riddock just edged out Daniel Cronin and Shane Buckley for fifth place on the penultimate stage. 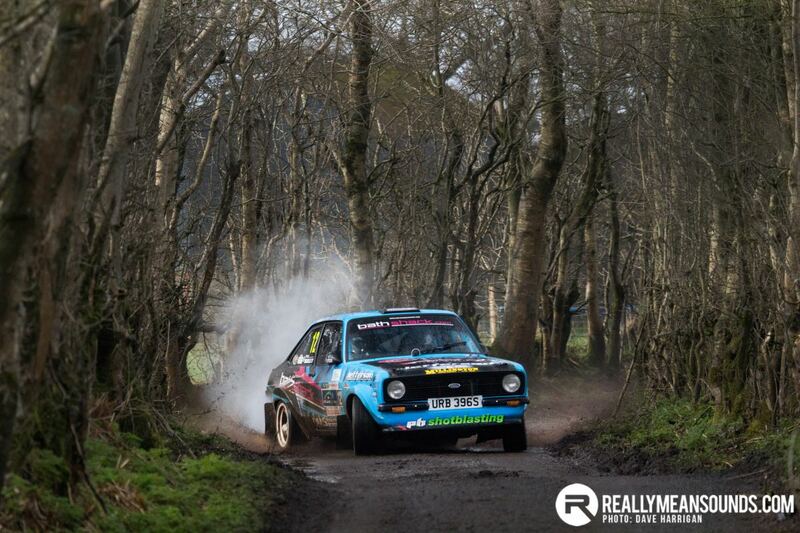 Stephen Wright and Eugene Donnelly finished out the Tarmac championship contenders. In the modified category, Kevin Eves continued his charge from Friday to finish the day tenth overall and top Modified championship contender also making it two maximum scores from two events to date. 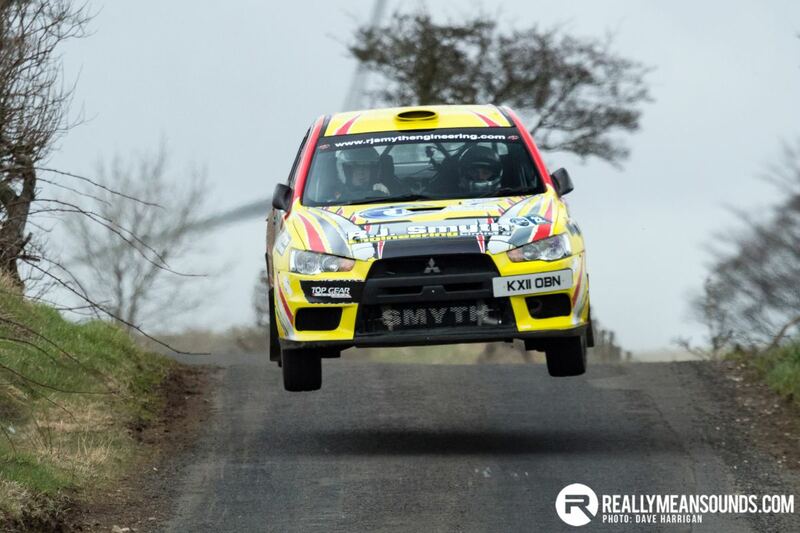 Keith White and Camillus Bradley completed the rally in 2nd and 3rd of the 2 wheel drive cars but Jason Roche was next of the Irish Tarmac Championship registered contender. 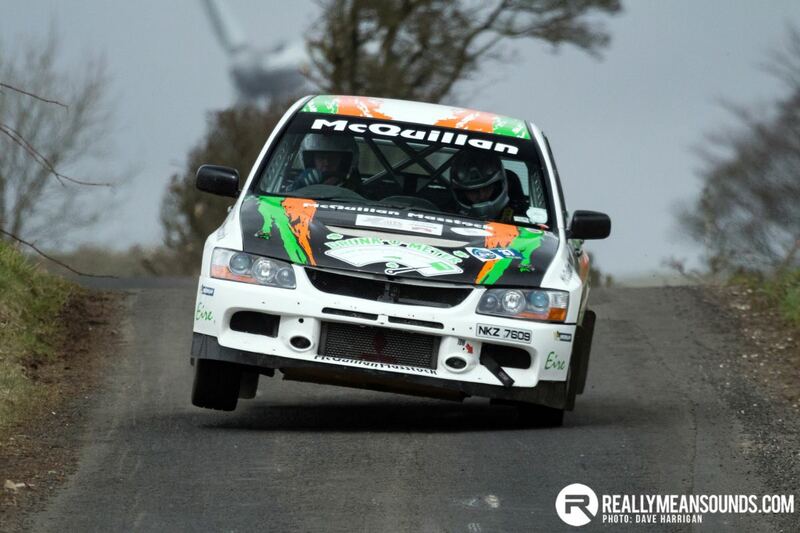 Jason finished 25th overall to take his first points of the season and move in to joint third place in the standings while J.R. McDaid finished 3rd of the Irish Tarmac Rally Championship competitors and 27th overall on the rally. 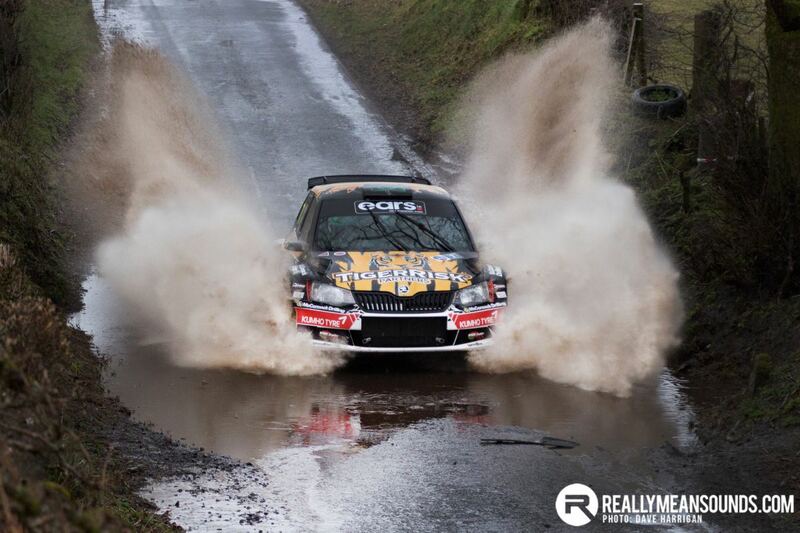 Next up for the Irish Tarmac Rally Championship is the third round in Killarney on May Bank holiday weekend. Threads merged. Looks like I’ll be buying a program myself! | Threads merged. Looks like I’ll be buying a program myself! 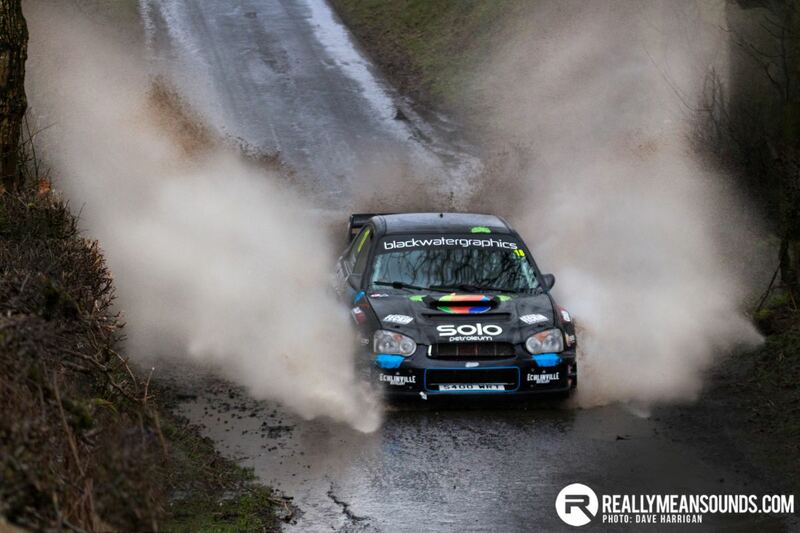 Going by road closures looks like a couple of my school run stages in there too. 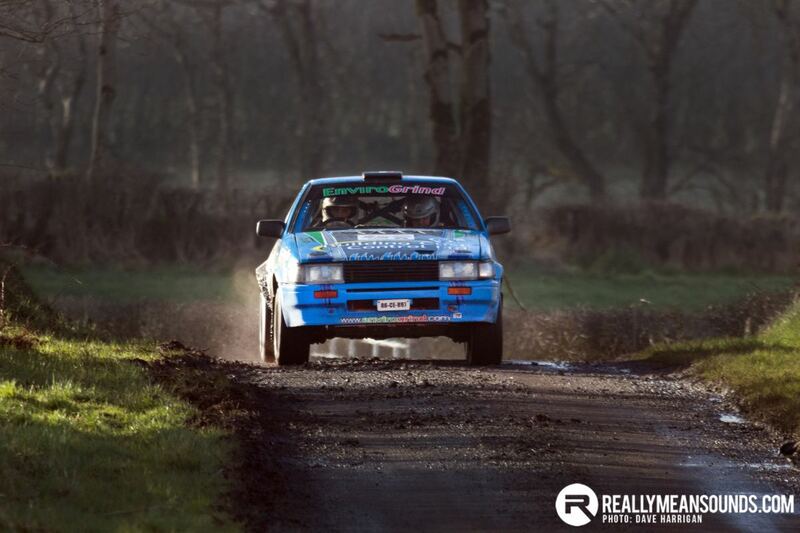 By the way.....I am running the first stage on the Friday.....if any of you chaps/chapettes are off and fancy a little marshalling...along with road side view of the action you are very welcome..more details can be provided if required. 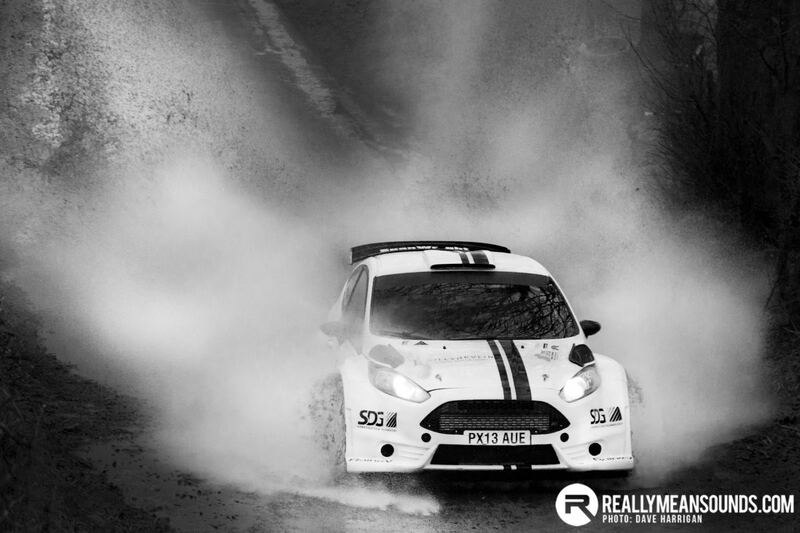 @RXCAuto what's the FCD time for SS1? 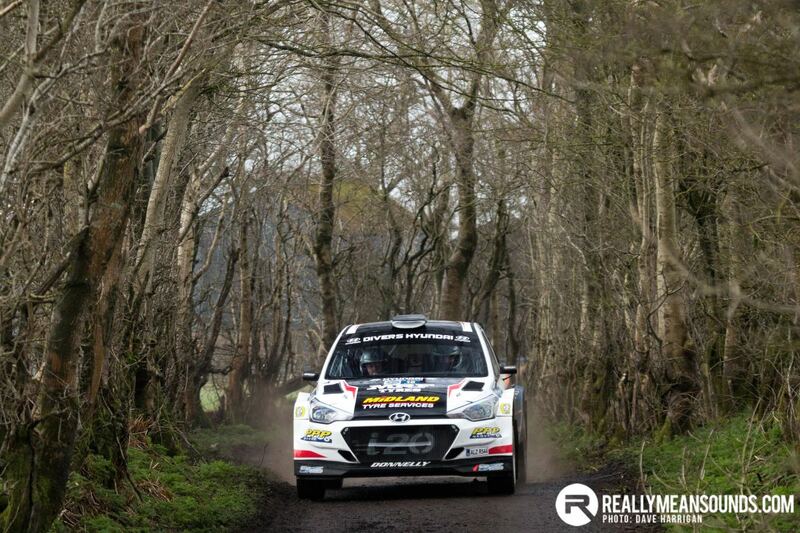 I haven't managed to pick up a programme yet due to only available in 2 places in Ballyclare. 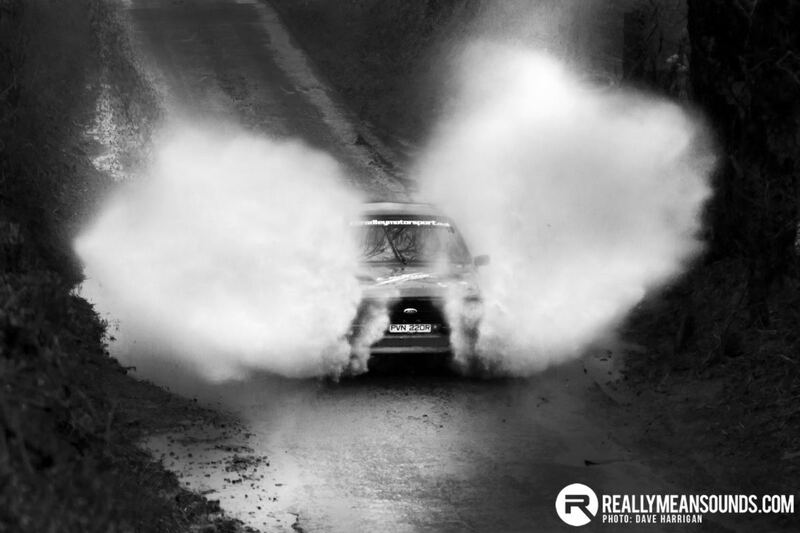 Plan to get down to get one in the morning but if you could let me know the time for SS1 that would be great, cheers! 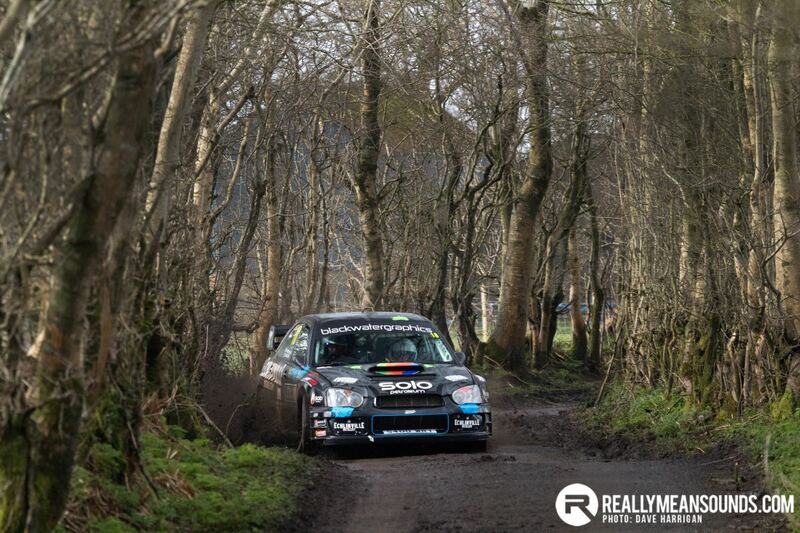 First car due on SS1 at 13:13. 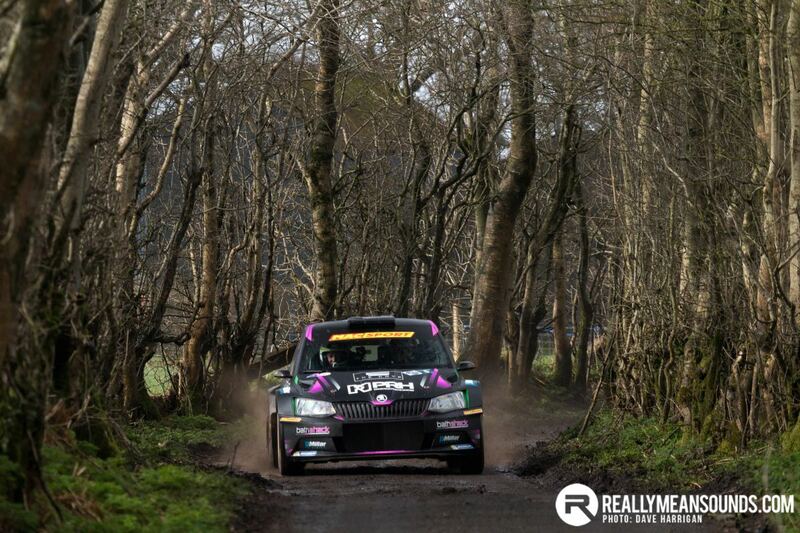 Marshal sign on is from 8.30 in Parkgate....hint hint. Cheers @starletterry If I didn't have a delivery due after 3.30pm I'd have considered it! 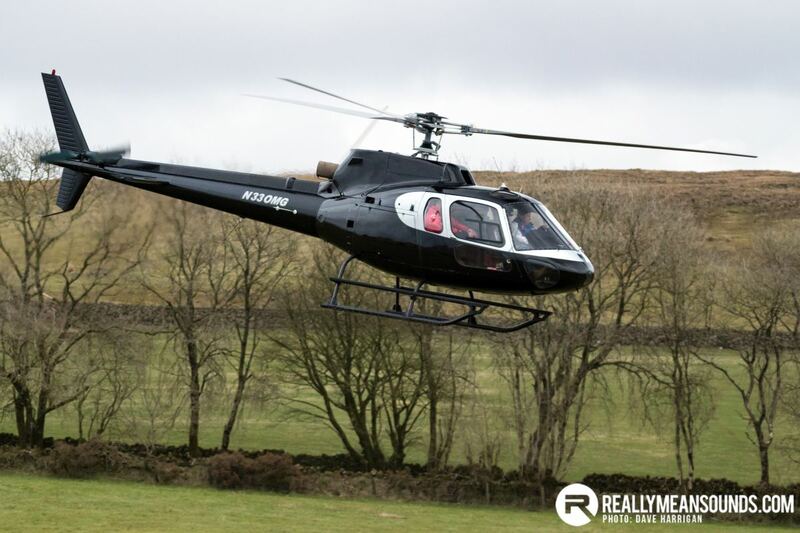 It's been a while since I did any marshalling.